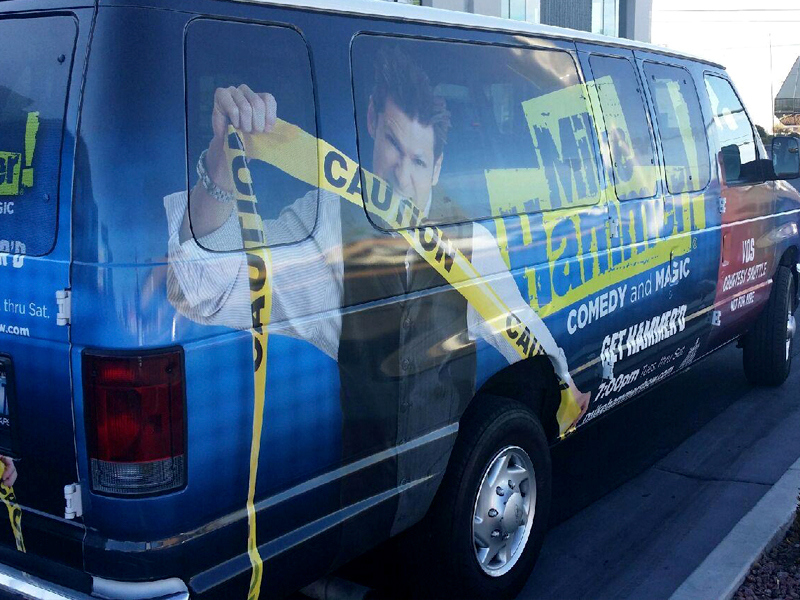 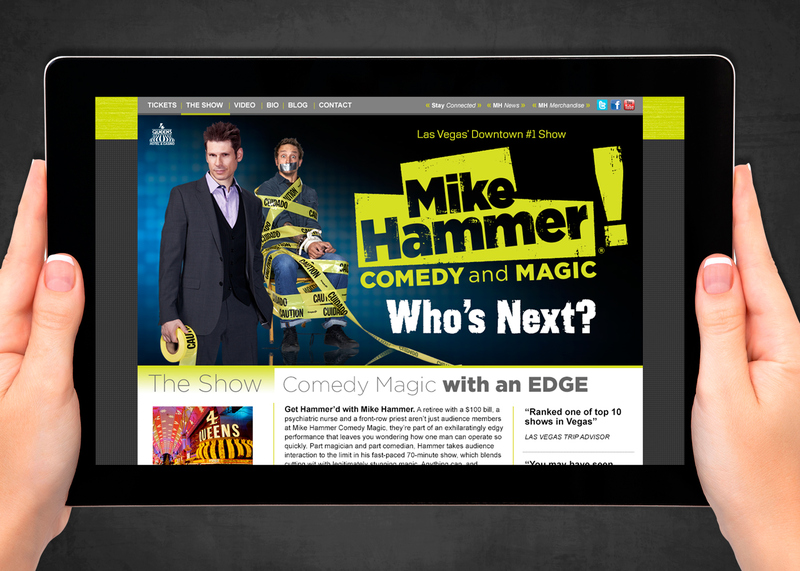 Brand identity campaign for the Mike Hammer Comedy Magic Show in Las Vegas, Nevada. 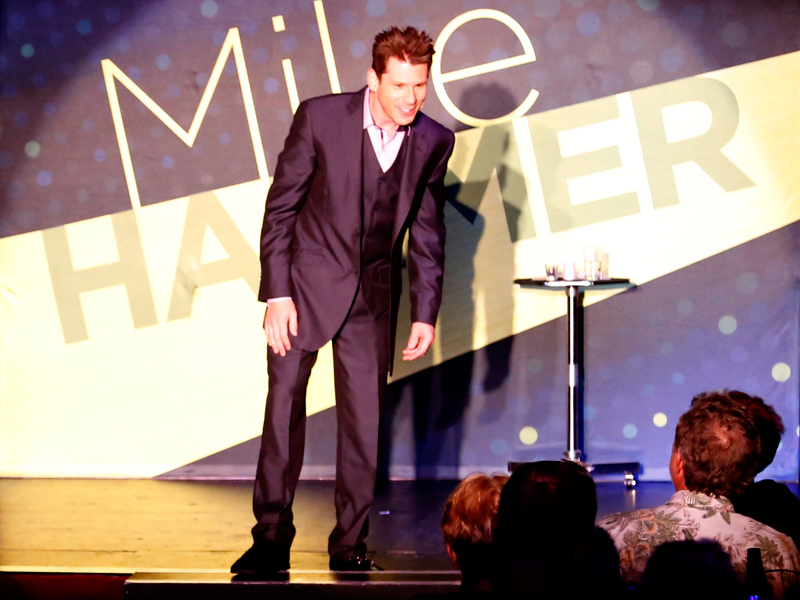 In order to develop a good brand, one must get to know every nuance about the business. 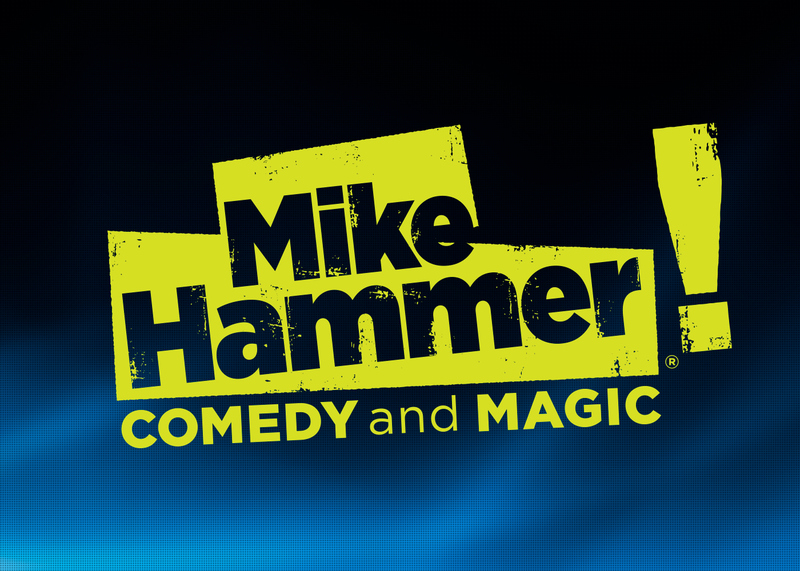 It was our pleasure to go see this fabulous Comedy Magic show in Las Vegas multiple times which ultimately helped us create the tone for the Mike Hammer Comedy Magic Show. 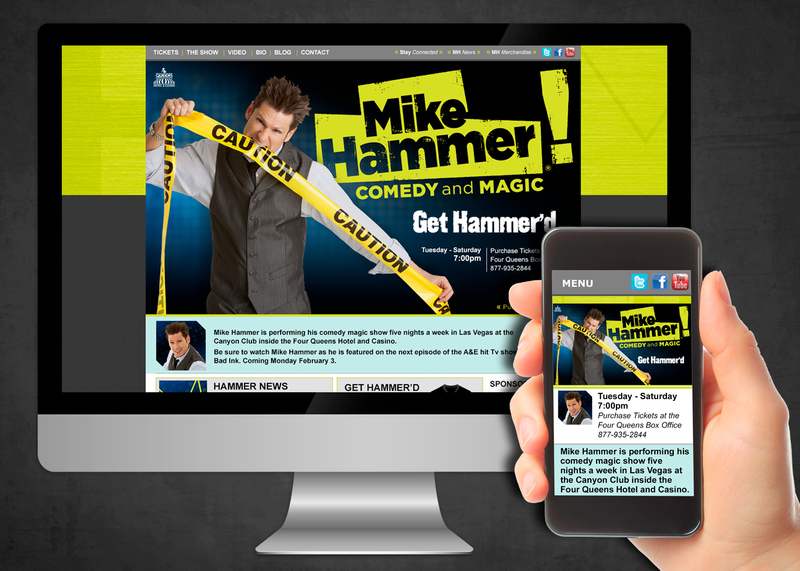 This brand identity campaign included the logo, posters, website design and marketing collateral. 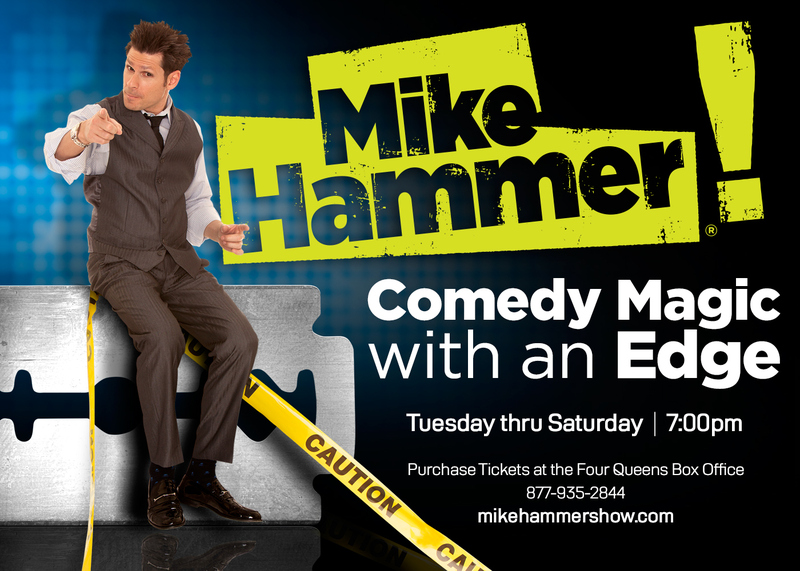 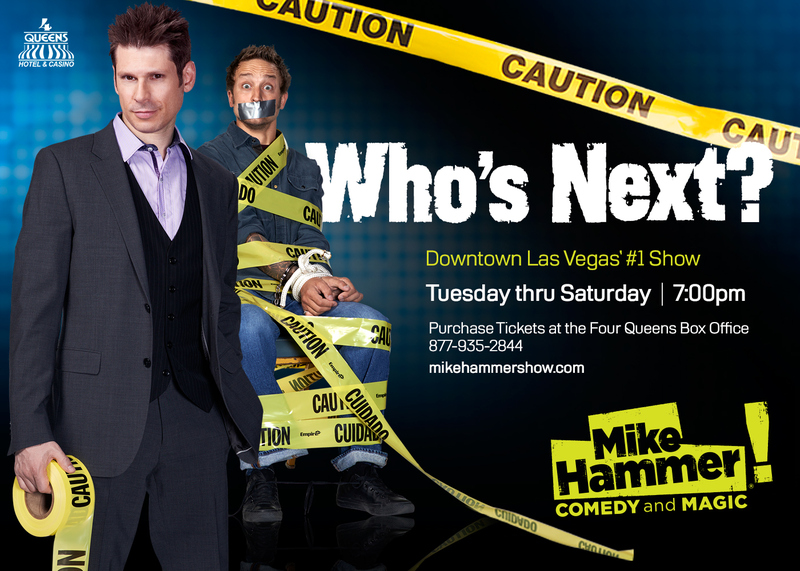 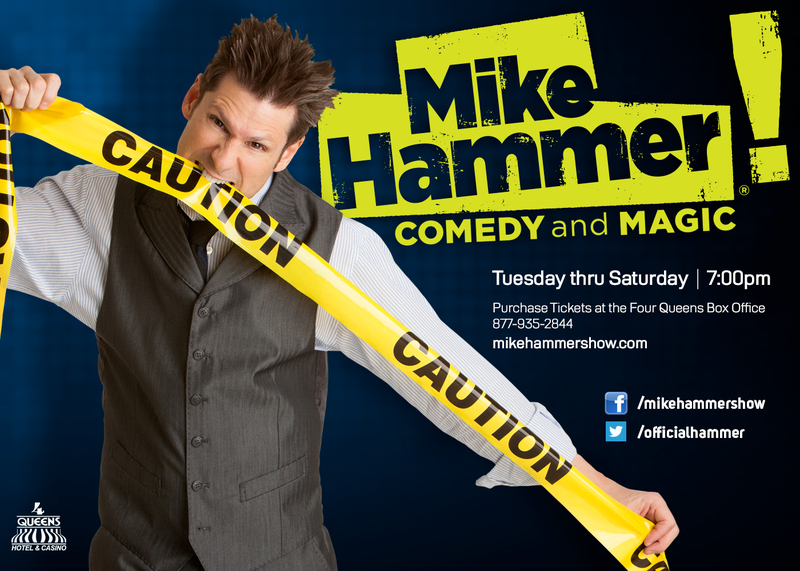 Mike Hammer is now Las Vegas’ downtown number one show.